The new smartphone by HTC is a 4.7-inch qHD display with a resolution of 960 × 540 pixels, 8-core processor with a clock speed MedaiTek 1.7 GHz GPU Mali-T760 MP2 and 1 GB of RAM. The manufacturer has not specified a model of the chip used in the HTC Desire 526G +. Desire 320, presented at CES 2015, has caused a lot of questions (512 MB of RAM is not very positive impact on the karma of the device). Version with 8 GB of internal memory will cost $ 170 with 16 GB - a $185. As for the front camera, it is only 2 MP, but you can record video in HD-quality. Product dimensions constitute 139,8 × 69,65 × 9,8 mm, weight - 154 grams. The phone supports simultaneous operation of two active SIM-cards. 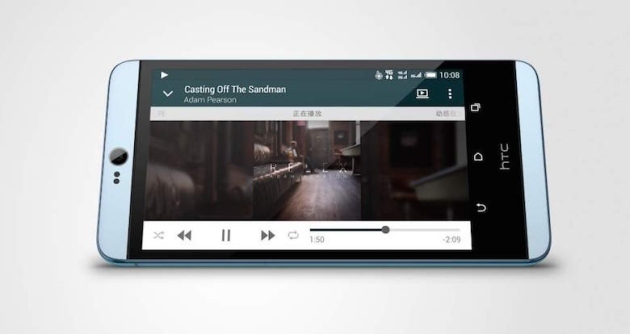 The operating system for HTC Desire 526 G+ is Android 4.4 interface HTC Sense. Sales of HTC Desire 526G + will start from India, where the first smartphone was announced to begin in late January.